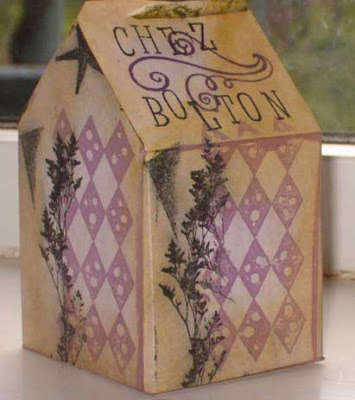 without a doubt (but after a bit of a wobbly start) Paper Salon’s Build a Bloom tin is one of my very favouritest stamps. Wobbly, why? Well because I nearly ripped off the backing by mis-reading the instructions, and I have a little bit of trouble with them dropping off the block…..but apart from that, love ’em. Staples on this card, my Purple Cow A5 cutter, which I essentially only use for cutting the flutted edge………..also my COPICS, Whisper Dye Inks and DCWV paper stack. mmmm, well not sure about this one at all, but at least I’ve contributed. Turned out way better in my head, ifykwim! Stamps: Aud Design (Swirl), Fleur de Lis (Hero Arts) both from Stamp Galaxy, Dressform and Ruler (Clarity), French Manuscript (Stamp Oasis). 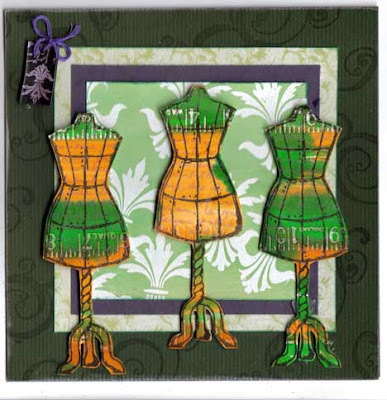 Inks etc: Ecoline inks in green and yellow on dressform, Fern Twinkling H20 (set 652), Pearlescent Purple Brilliance, Versamark, Snow White EP and Black Shrink Plastic. 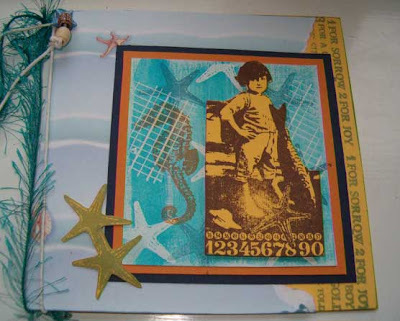 just another, and very quick entry into Wednesday Stamper’s turquoise challenge. 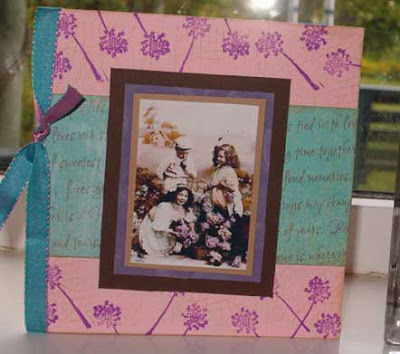 Cardstock is Bazzill pink (6 x 6 blank), then a 3″ piece of turquoise cardstock from Heartwarming Vintage slab, with one the pictures from the Paper Artsy 008 sheet matted with gold, purple velvet and then chocolate brown cardstock. 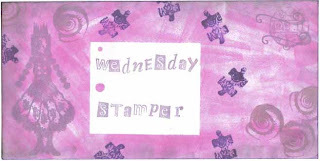 The background is stamped with Penmanship (Penny Black) in Antique Linen Distress Ink, then Pressed Lacy Flower (Savvy Stamps) in Violet Whispers Dye Ink. All edges have been run over with the Antique Linen Distress Ink. Just a scrap of turquoise/pink ribbon added to the spine. I really enjoyed doing this, and am well up on time, so maybe I can get another done before next Wednesday. Inks: Sky Blue Twinkling H20 (set 654) ; StazOn Timber Brown & Whispers Dye Inks in Starry, Starry Night and Butterscotch. 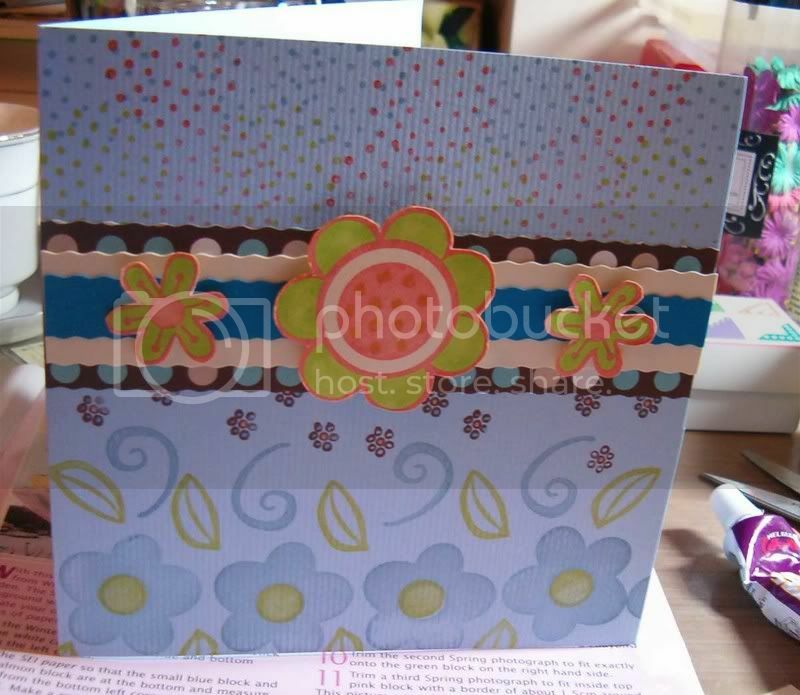 Others: Snow White embossing powder, cardstock in sand, orange, blue. Pattern paper: Chattebox, K&Co. 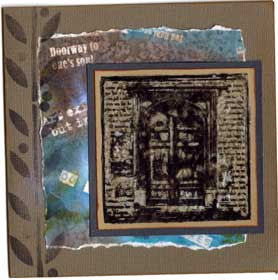 This week’s Wednesday Stamper was Grunge, so following inspiration from Sid (care of Sugarloaf Video Class) I decided to have a go at a grungy secret house. Ink: Wisteria Fluid Chalk ink, Black Soot, Old Paper and Dusty Concord Distress Ink. just a quick (and not very successful effort) using what I had on my desk at the time. I just wanted to make sure that I took part this week, as since Christmas, I haven’t had much opportunity to do so.